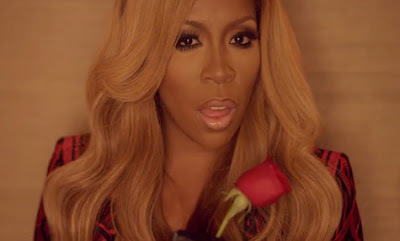 Revenge is really sweet when you're K. Michelle. The Love & Hip Hop reality TV star gets gangsta and hella ratchet in this new video to ‘The Right One’ off her debut #1 release ‘Rebellious Soul’. K. Michelle really lives up to the statement "paybacks a b-tch" as she burns her mans clothes after she sees him cheating on her. Chi Ali plays K. Michelle's man in the Juwan Lee directed video. Toast marshmallows on the side of the road with a scorned woman.